What happens if you put the wrong fuel in your car? We've all been close to making this mistake. It takes one small distraction and all of a sudden the realisation sets in. Whether that's mid-way through fueling, or when you try to drive away. But what difference does it make to the car? 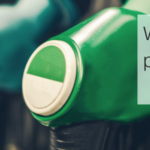 Why are cars petrol or diesel? What happens if you put the wrong fuel in your car? and what should you do next?